©2014 Blue Ridge Life : Photos By BRL Writer / Photographer Woody Greenberg : 91 Year old Earl Hamner, Jr (L) and his wife Jane ham it up for the camera at their home in Studio City, California for Woody Greenberg. Woody paid Nelson’s original John Boy Walton a visit this past week. Earl has been recovering from surgery a few weeks ago. 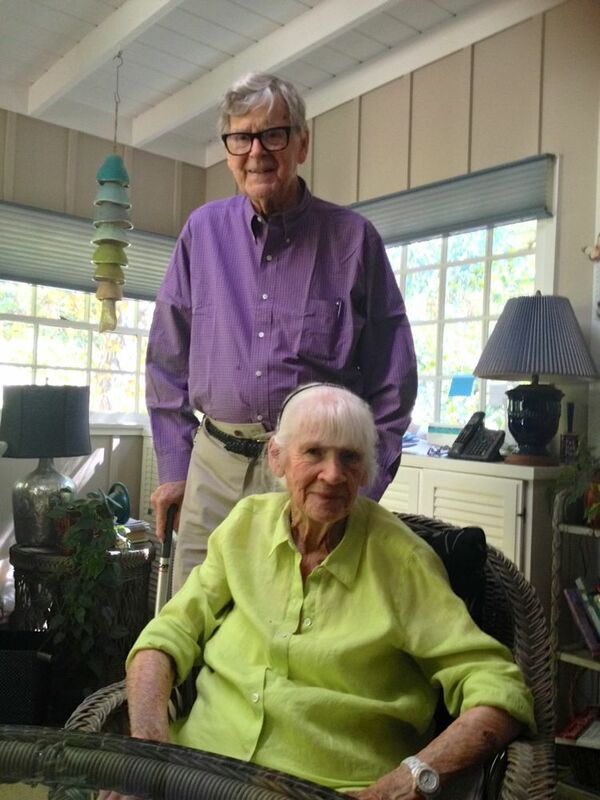 Just a few weeks ago 91 year old Earl Hamner, Jr. – Nelson native and creator of the highly popular TV series, The Waltons, was in a California hospital having surgery. Today he’s quickly recovering and back on his feet. Our Woody Greenberg, who’s been personal friends with Earl for decades, dropped in to see he and his wife at their home near Los Angeles. 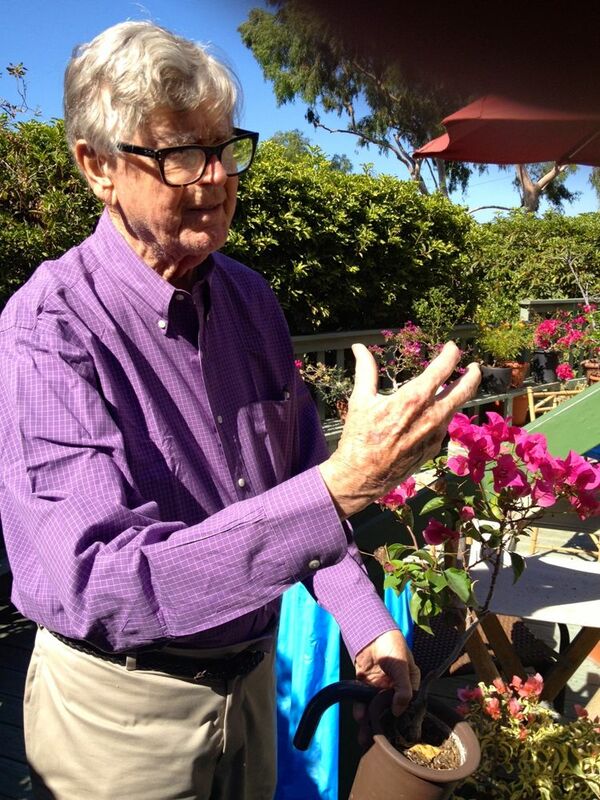 Earl Hamner checks on one of his many Bonsai plants in his outdoor garden at his home in Studio City, California. As we’ve been telling you over the past several months, a documentary on the life of Earl Hamner is currently in production. Back in the Spring of 2014 Earl was back in his hometown of Schuyler in Eastern Nelson County, Virginia. Crews were filming for the movie that will be released in the coming months. Post by Earl Hamner Storyteller. Click on the Earl Hamner Storyteller Facebook page above to read more about the progress on the upcoming documentary. 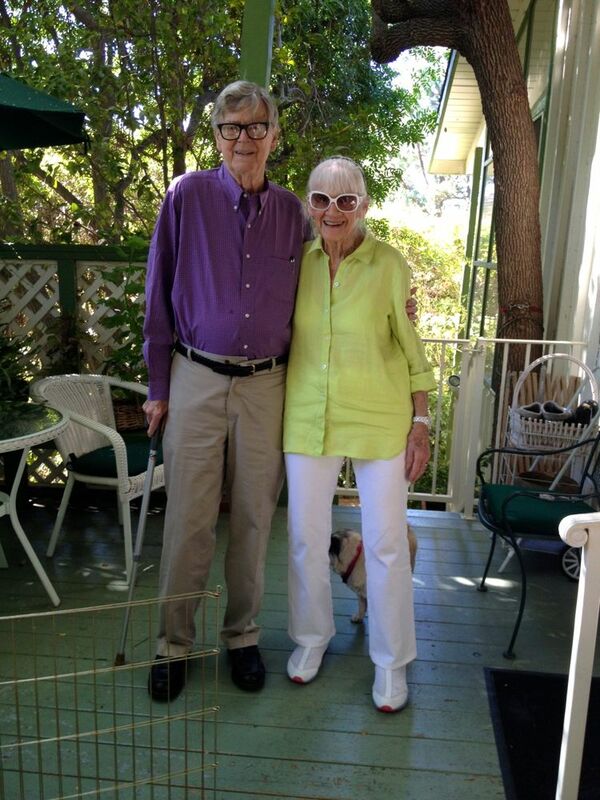 Nelson County Native Earl Hamner, Jr and his wife Jane at their home in Studio City, CA this past week. Hamner is the creator of The Waltons as well as many other popular TV series. 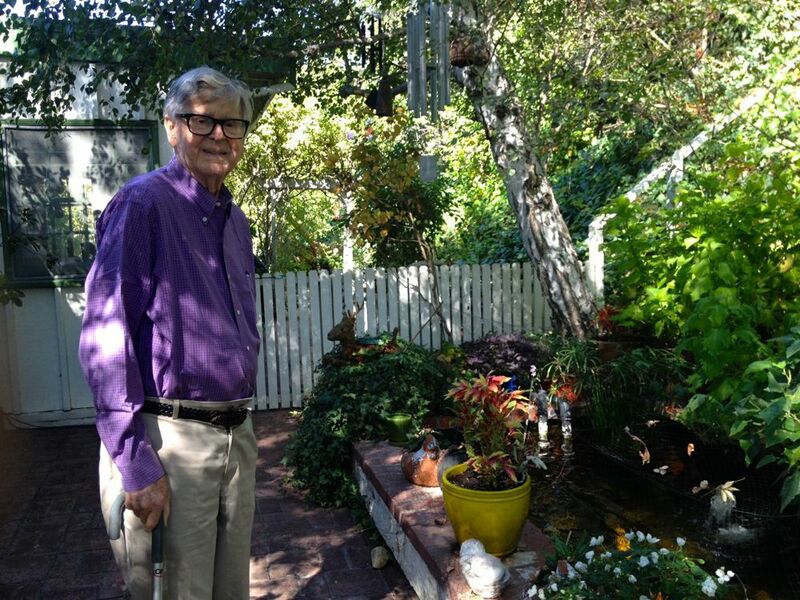 91 year old Earl Hamner, Jr. originally of Schuyler, VA stands near his KOI pond in the backyard of his home in Studio City, CA this past week. Congrats on the tremendous recovery Earl! Be looking for more updates in the weeks ahead on his forthcoming documentary. Happy Birthday : Nelson’s Earl Hamner : 88 Today! So wonderful to see Earl Hammer is doing well following surgery. We all love him and looking forward to visiting his home place soon. Can’t wait for his documentary to come out.